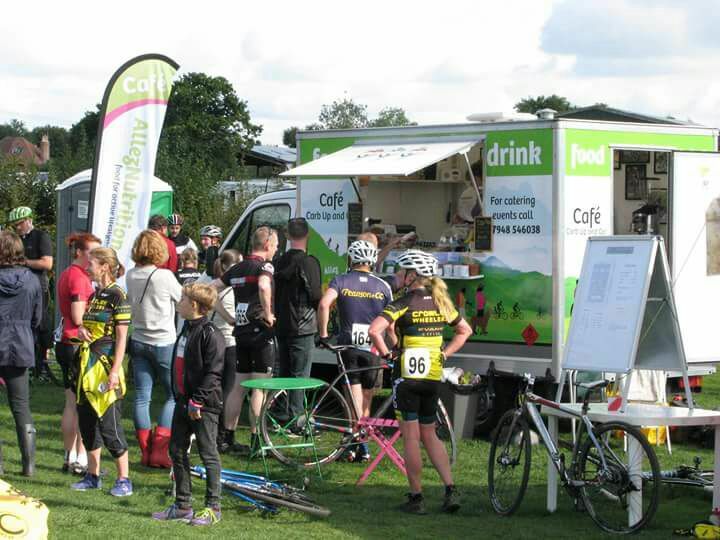 Over 600 entrants, young and old, entered to ride the course so a fun-packed day at Sumner’s Pond, Horsham. The rain kept away and we were really busy with people at the hatch constantly throughout the day. We had great comments about the food on offer and got through nearly all of our cold drink selection. Cyclists love Coke but I also have freshly squeezed orange juice on board, coconut water and of course still water.